Despite universal hatred for bloatware, Microsoft is willing to shove high-profile apps in front of users. 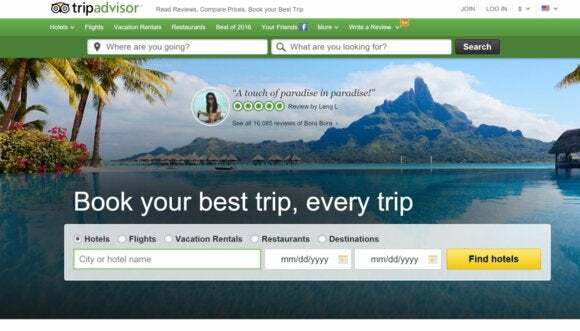 In a move that's sure to annoy consumers, TripAdvisor said Wednesday that its popular travel app will come preloaded on millions of Windows 10 desktop and mobile devices later this year. It's a sign of Microsoft's desperate attempts at app relevance that that actually sounds like a good idea. TripAdvisor said that its app for Android and iOS has already been downloaded 215 million times to date, serving up a mix of user reviews and photos, plus a mobile feature that points users to nearby points of interest. On devices supplied by Microsoft, only one third-party app tends to be preloaded: Candy Crush Soda Saga, precisely because consumers despise bloatware. Third-party vendors feel differently, however. The fact is, preloaded apps can slow down a machine and eat up precious space on a hard drive or SSD, which is why in 2015 PCWorld listed the PC vendors to avoid if you hate preloaded applications. Smartphones also typically limit their bloatware to apps created by the carrier or device maker. In general, Apple and Google focus on supplying their own apps first and foremost, leaving it to the user to pick her own third-party apps. So why would Microsoft's partners choose to preinstall TripAdvisor, as well as other Windows 10 apps in the future? Because it's a good idea. If you know nothing else but the name of a specific app, you can be almost certain to find it in Apple's app store, and odds are there's a version for Android, to boot. Apps that aren't intrinsically mobile, such as Slack, generally have a version that the developers have authored for Windows PCs, or else there's a generic Web service. With Windows 10 Mobile, however, it's a far different story. Android apps total almost 2 million; the number of apps written for iOS is about the same. Microsoft has stopped breaking out the number of mobile apps written for Windows 10 and Windows Phone 8.1, but now claims, "there are 669,000 apps written for phones, desktops, and tablets in the Windows Store." Let's face it: We all assume that apps written for Android and iOS simply aren't on the Windows mobile app store, and we're surprised when they are. So if a user is buying a new Windows phone, it stands to reason that Microsoft wants to reinforce the notion that Windows phones are a rich platform, and that top apps are indeed written for it. Preloading popular apps like TripAdvisor or Yelp helps Windows' image. (It'd be nice, obviously, if a few more major developers followed suit.) And as long as those preloaded apps can be easily uninstalled, I think users will be okay with it. With just 2.8 percent of the U.S. smartphone market, Microsoft is staring into the abyss. Windows Phone 8.1 struggled, and recent reports suggest that it will be February or early March before older Windows 8.1 phones begin upgrading to Windows 10 Mobile. Rival Blackberry has basically given up and embraced Android. Yes, preloading apps smacks of desperation. But that's where we're at. Editor's Note: This story's headline has been corrected to note that Microsoft's hardware partners will preinstall the TripAdvisor app, not Microsoft.